The hero from the legendary Legend of Zelda series is here to wield the newly-smithed Sword of Power! 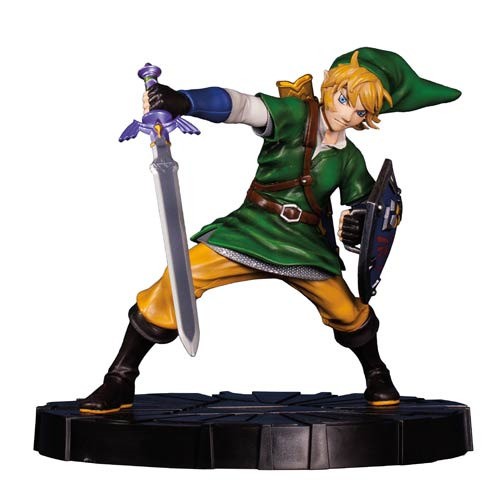 This Legend of Zelda: Skyward Sword Link 10-Inch Statue features the hero as he's seen in the hit Nintendo game. Standing 10-inches tall, this beautifully crafted statue will look great added to any Legend of Zelda collection! Ages 14 and up.